With Summer officially here, I've been finding myself reaching for BB Creams and tinted moisturizers over some of my foundations. Last Summer I was obsessed with Garnier's BB Cream (and I still do love it), but I'm now trying out another drugstore BB Cream. Maybelline's Dream Fresh BB Cream gives a light, natural finish to my skin, and it is an 8 in 1 product! "1. With SPF 30, helps prevent sunburn. 2. Helps blur the look of imperfections. 3. Creates a natural looking glow. 4. Skin looks visibly smoother. 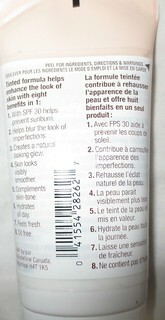 I love that this BB Cream has SPF 30 in the formula! My Garnier BB Cream doesn't have any SPF, so the Maybelline is an excellent option for the warmer months. 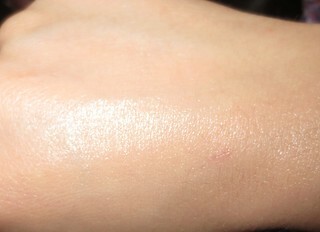 Maybelline's Dream Fresh BB Cream gives a very sheer tint of colour, as promised on the packaging. I do find that this one gives less coverage compared to the Garnier BB Cream, so I reach for Maybelline's formula on my "good skin" days. This formula blends out easily, and I've been applying it with both my fingers or a Sigma F80. 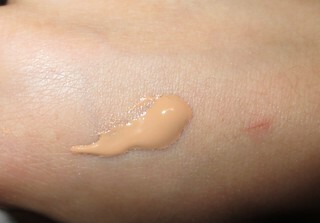 This BB Cream blends in easily, and doesn't leave my skin looking oily. I still do follow up with a setting powder, to increase the staying power. You can see that this BB Cream actually does quite a good job at covering up the cat scratch on my hand! I'm fairly pale, and this formula matches my skin tone well. I've heard some people say that this formula is too orange, but I haven't had that problem. I've been reaching for Maybelline's Dream Fresh BB Cream on days when I just need a sheer wash of colour, or as a base under other light coverage foundations. This formula does have good staying power, and it doesn't oxidize on my skin throughout the day. Have you tried this formula before? I think this is a good drugstore version, and great for anyone wanting a light, sheer wash of colour. I'm not sure whether or not this is truly a BB Cream, or just a glorified tinted moisturizer, but either way it still is a good product. What are your favourite BB Creams? I have been using this regularly and like it a lot. Would you recommend this over the garnier one? Thanks. I have this BB Cream and I think it's lovely but I only use it on my good skin days as the coverage is really light.